Let’s start this week with a quick hit on popularity and politics. It ties in nicely with the fact that my local congressman, a Republican, announced on Sunday he would not be seeking re-election in a very competitive district. This piece in particular comes from the Economist and in terms of form, it is fairly simple. 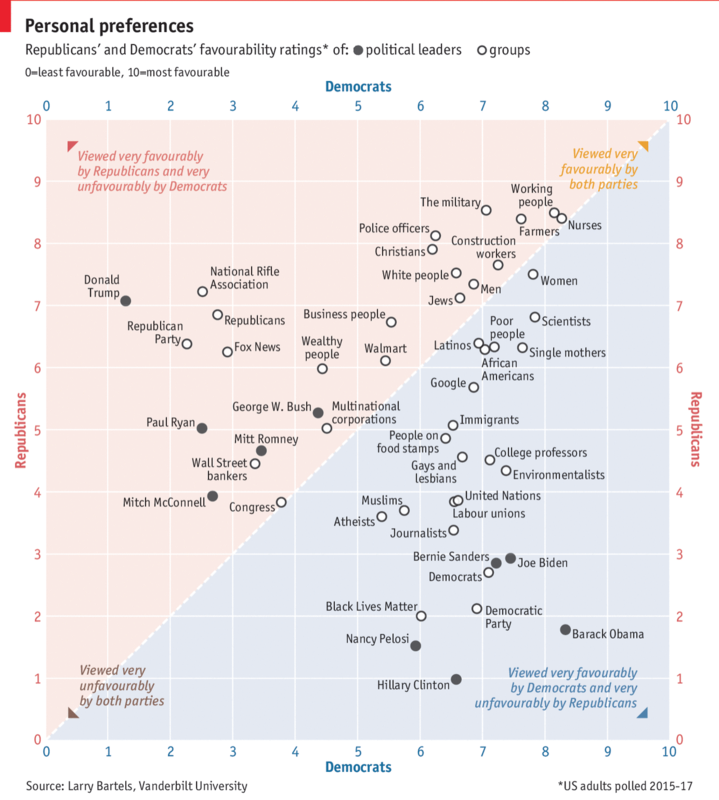 A scatter plot tackling the popularity of groups of people and specific politicians divided by whether the respondent is Republican or Democratic. The reason I really like this scatter plot are the inclusion of the keys at the four corners. 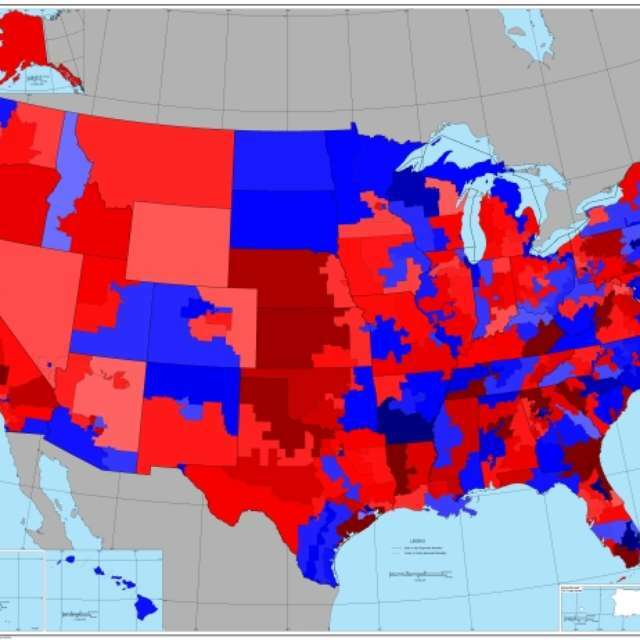 The split between Republicans and Democrats is fairly obvious and nicely coloured. But the little keys really help to clear up any confusion about what is happening as groups of people fall closer to one corner or another. The keys were a small and subtle, but very important design decision. But what does it all mean? Well, as the headline says, we both rate favourably nurses and working people. Less so Congress and Mitch McConnell. 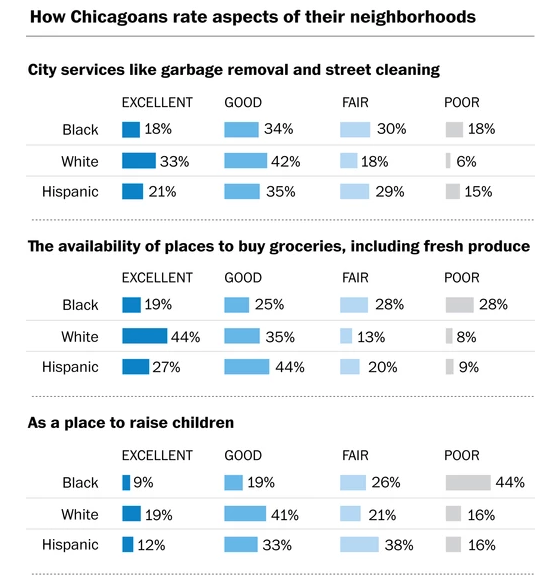 Dickens is not my favourite, but that felt an appropriate title for today’s piece from the Washington Post on Chicago residents’ opinions on, well, Chicago. Turns out there is a notable demographic split on how residents feel about various things in the city. Credit for the piece goes to Emily Badger. When is Hummus Not Hummus? 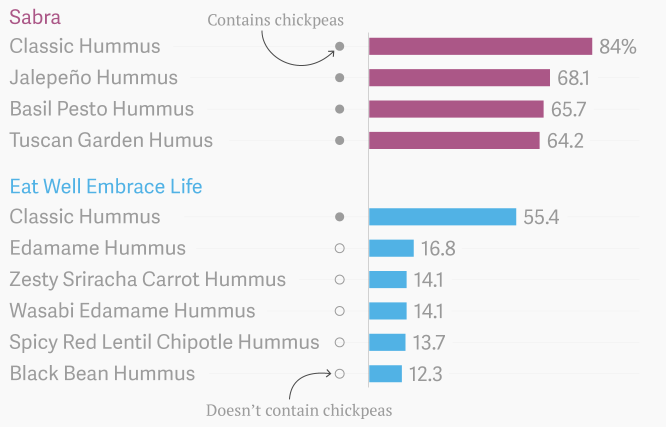 Author Brendan BarryPosted on 21 November 14 11 November 16 Categories InfographicTags bar chart, food, hummus, infographic, information design, just for fun, line chart, Quartz, surveyLeave a comment on When is Hummus Not Hummus? Am I Your Type, Politically Speaking of Course? 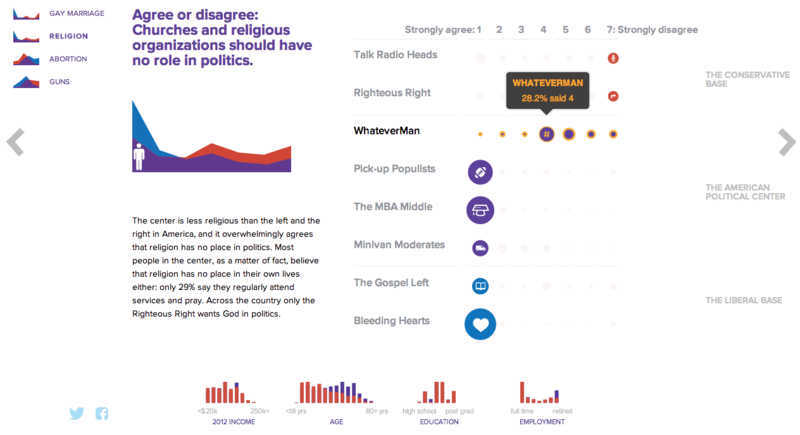 From a survey standpoint, I found it interesting the questions presented only binary responses. 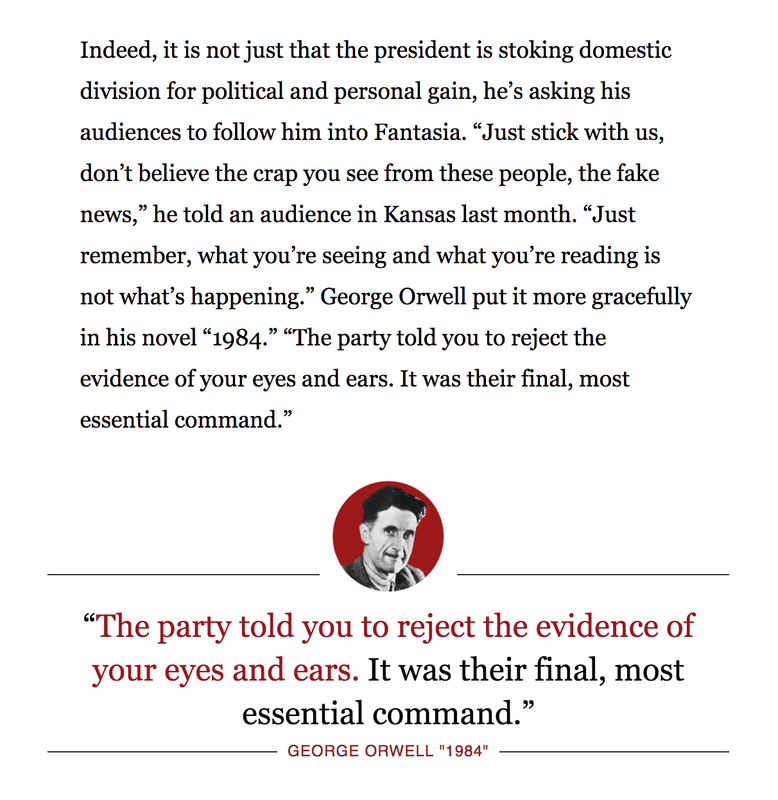 In general, I found that I never agreed with either statement entirely and was forced to choose the “closest” response. 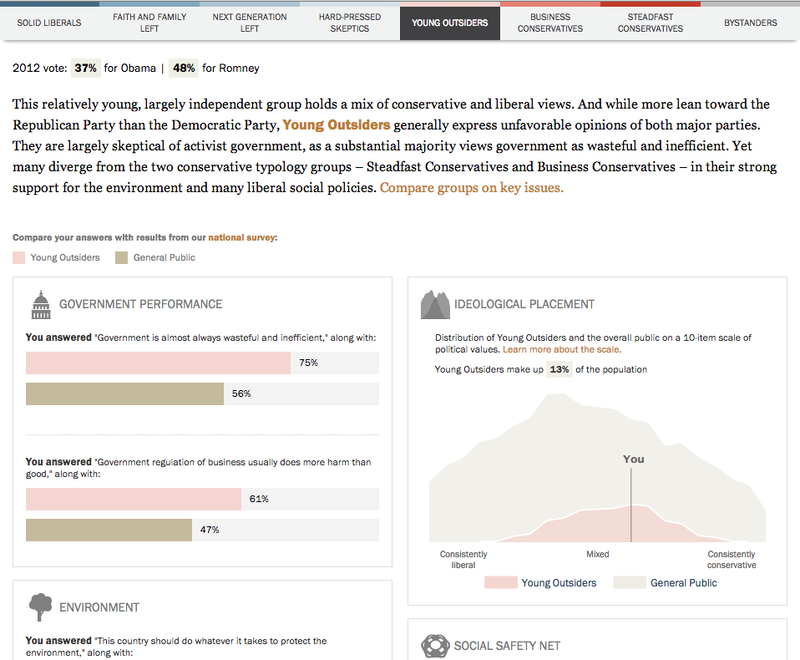 Since I never see myself on the conservative side of the spectrum, I was surprised to see my “type”, Young Outsiders, coloured with a tint of red. Regardless, I’m still thankful that according to Pew, I am still more in the centre than on the ends as it makes it a lot easier to compromise. I’ve heard that that is an adult thing to do. By the way, if you want the results of the full survey upon which this quiz was based, you can check out that site here. 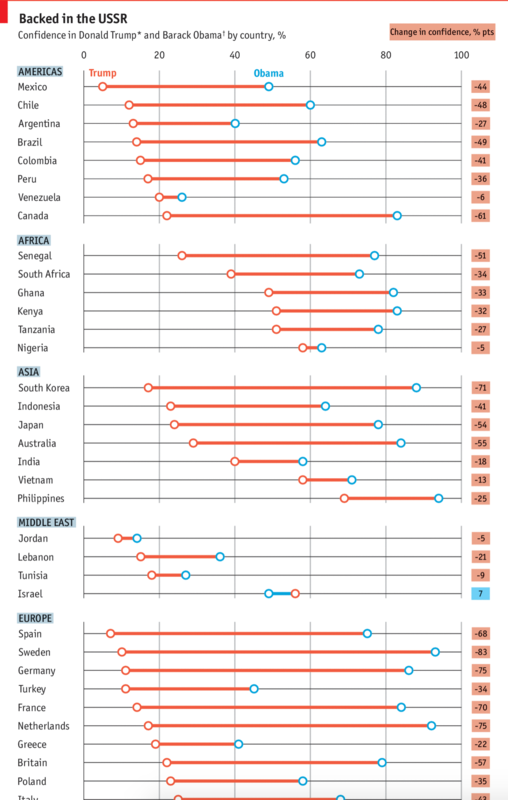 It’s full of bar charts for those who like the data visualisation. 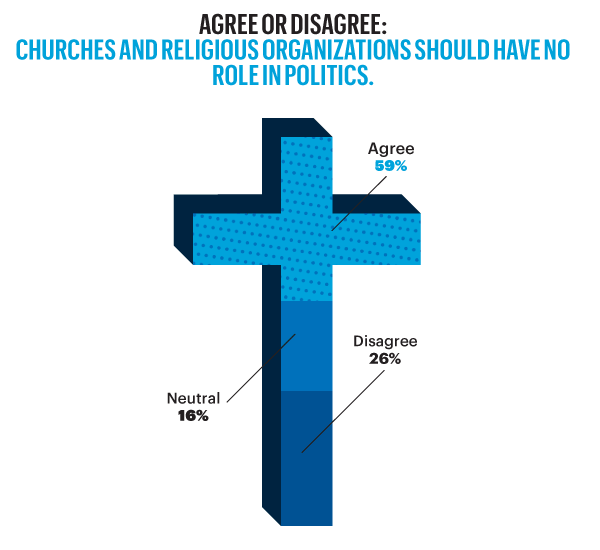 Credit for the piece goes to the Pew Research Center. Author Brendan BarryPosted on 22 July 14 11 November 16 Categories InfographicTags bar chart, data visualisation, demographics, economics, infographic, information design, interactive design, Pew Research Center, politics, surveyLeave a comment on Am I Your Type, Politically Speaking of Course? 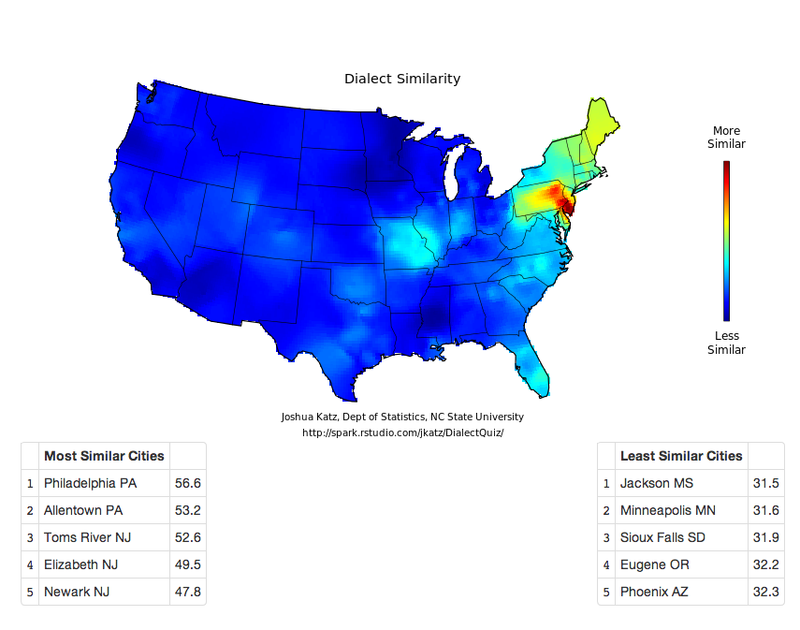 Joshua Katz from North Carolina State University has created an interactive version of the dialect survey maps first perhaps popularised several years ago. Katz has also created an interactive map that looks at a city’s dialect and maps its areas of similarity and difference. An interesting extension of the original survey data, however, is the ability to take the survey yourself and see where your dialect fits. 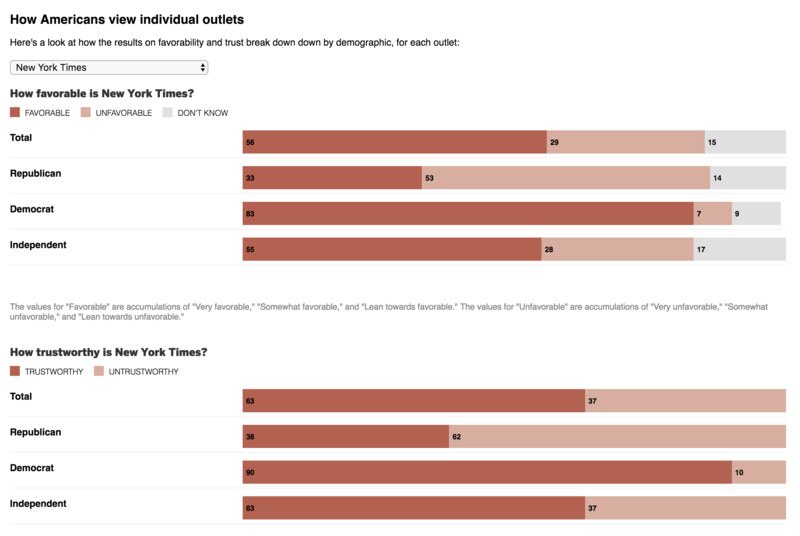 There are two versions, a 25-question survey and a 140-question survey. The screenshot below is my result from the 25-question version. And it fits me fairly well since I spent most of my years in the suburbs of Philadelphia but every summer in South Jersey (and quite a bit of time in Allentown). Click the map to take the quiz for yourself. Feel free to reply and share your results. From the technical side, for those wondering, this is a piece that is done in Shiny, the interactive version of R.
Credit for the piece goes to Joshua Katz. Today’s post comes via @dansidor and in fairness isn’t quite about a graphic, but rather how to obtain data for a graphic. Or not. I’m not really sure. To hell with it. It’s Friday. Have a weekend. Credit for the graphic goes to ND at Wikicommons.